It’s that time of year again “TEE TIME”!!! 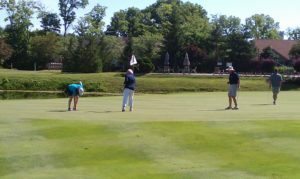 Every year, our BSM Chapter holds their Annual Golf Fundraiser to provide a fun way for our community members to support our troops by coming out to the Beavercreek Golf Club and play a ‘Round of Golf. This year is an opportunity for YOU to come out and join us – or, if the date doesn’t work for you – we have some other ways for you to participate, share in the event “vicariously” and to support our non-profit cause for our Active Duty / Deployed Military and our Veterans here locally. SO how can YOU support this event? OR, you could BID ON / BUY any of our AUCTION ITEMS! You see, we understand that it takes more than one person, one way to fundraise, or one opportunity to make a connection. Our Chapter is BLESSED by our Community Support and as long as there are Troops / Veterans who need us, we will need YOU!